The state of Alabama issues a request for proposal (RFP) in an effort to solicit bids from vendors to build and maintain the LTE radio access network (RAN) in the state, if the governor chooses to pursue the opt-out alternative to FirstNet, becoming the second state in the U.S. to conduct such a procurement. The state of Alabama issued a request for proposal (RFP) in an effort to solicit bids from vendors to build and maintain the LTE radio access network (RAN) in the state, if the governor chooses to pursue the opt-out alternative to FirstNet, becoming the second state in the U.S. to conduct such a procurement. Bidders are required to submit proposals to the state of Alabama by 4 p.m. EST on Oct. 14, and the state plans to announce its potential partner by mid-January, according to the RFP. However, the RFP contains numerous references to the fact that Alabama only would build the 700 MHz RAN within its borders, if the state chooses to opt out of FirstNet and build the RAN on its own, instead of letting FirstNet and its contractor deploy it. “This RFP is not an offer to contract but seeks the submission of proposals from interested service providers that may form the basis for negotiation of a contract,” the Alabama procurement document states. 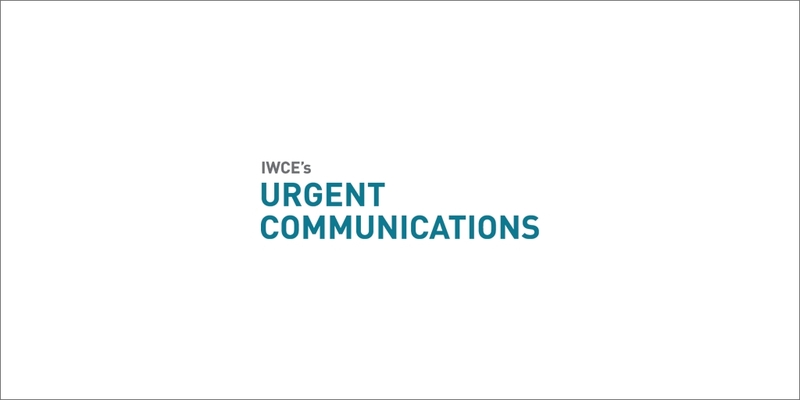 In a statement e-mailed to IWCE’s Urgent Communications, a state of Alabama spokesperson noted that the RFP should not be perceived as an indication that any decisions have been made regarding the FirstNet opt-out alternative. “The state of Alabama is issuing this request for proposal (RFP) to be proactive and initiate the process to gather information and consider any all options available to the state,” according to the statement. “The decision to issue this RFP prior to receiving the state plan from FirstNet was made to ensure Governor [Robert] Bentley can start the decision-making process and will have sufficient time and information to make the best decision for the first responders and the citizens of the state of Alabama. Alabama’s RFP release follows the recent conclusion of a similar procurement process in the state of New Hampshire, which announced that Rivada Networks would have the exclusive rights to negotiate a contract for a RAN deployment in New Hampshire, if that state chooses to opt out of FirstNet. Chris Moore, senior vice president for Rivada Networks, said the company is “reviewing the Alabama RFP with interest” when asked whether Rivada Networks would submit a bid. FirstNet is charged with building a nationwide public-safety broadband network (PSBN) on 20 MHz of 700 MHz spectrum. Governors of states and territories are expected to announce next summer whether their jurisdictions will accept the FirstNet state plan or pursue the opt-out alternative included in the 2012 law that created FirstNet. Issued by the Alabama Law Enforcement Agency (ALEA), the RFP acknowledges the need for Alabama to get approvals from the FCC and the National Telecommunications and Information Administration (NTIA), as well as negotiate a spectrum-lease agreement with FirstNet, before it can build the proposed RAN. The RFP also includes statements indicating Alabama officials’ belief that the state should be able to keep revenues generated from the proposed RAN network within the state.